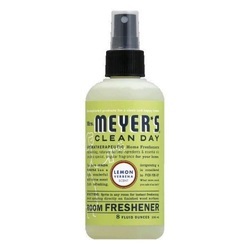 Mrs. Meyer's Clean Day Lemon Verbena Air Freshener contains natural essential oils and fragrance to quickly freshen any room. Comes in a non-aerosol bottle, this environmentally-friendly room freshener formula is such a treat! Made in the USA.